Section 66 of the Companies Act, 2013 allows a company to reduce its Authorized Share Capital. The Central Govt for this purpose constituted the National Company Law Tribunal (NCLT). It was notified of Procedure for Reduction of Share Capital of Company Rules, w.e.f. December 2016. The reduction is Considered for internal Re-structuring of the company. So the consent in the special resolution has to be, by the majority. The Company has to have power mentioned in its Article of Association for Reduction of Share Capital. If not, then the AOA needs to be altered first, to give the power and then the resolution for reducing capital can get passed. If the company is in arrears for repaying any deposit (or interest payable on it) accepted by it, it is not eligible for capital reduction. The reduction must be confirmed with the NCLT after it is settled by the resolution. The date of registration with the Registrar of Companies (ROC) is the Effective date of Reduction. Reduction of Share Capital is different from Reduction in Shares, which is only the cancellation of unsubscribed share capital. This is also different from Buying Back of its own Securities, which occurs after an Allotment of Shares. Violations under this section are punishable under section 441 of the Companies Act, 2013. When Share Capital is not paid up, then by reducing or extinguishing the liability on any of its shares. When Paid up share capital, cancel it with those lost or is not represented by available assets. By paying off to its shareholders, excess paid-up capital received from them, but not required by the company. the company pays back Rs. 25 per share to reduce its face value from Rs. 125 to Rs. 100. 1. Create Board Resolutions. Summon a Board Meeting to approve the Special Resolution and call for a general meeting with the shareholders. 2. To Have the Special Resolution passed in this general meeting. 3. Within 30 days, file for MGT-14 with the ROC. 4. File application with NCLT, in Form RSC-1, to confirm the reduction. 5. Submit the fee amount as applicable. List of Creditors mentioning their names, addresses and loan amount. It should not be of a date 15 days earlier than this application. It is to be certified by the Managing Director, as true & correct. Where the MD is absent or unavailable, the List has to be signed by 2 directors. The above Creditors List has to be certified by the Auditor of the Company, for its verification and truth. A Declaration by the MD or 2 directors, that there are no arrears to repay any deposit or interest incurred, thereon. This has to be certified by the company’s auditor too. Declaration by the MD or 2 directors, that the Accounting Process for the reduction of the share capital, as proposed by the company, conforms to the standards as specified in section 133 or any other provisions of Act. This has to be certified by the company’s auditor too. 7. Along with above, copies of the list of creditors is to be kept at the registered office of the company. So, any person who wants to inspect, may inspect and take copies from the same. This can be done during business hours of the company, on payment of a minimal fee. (a) Within 7 days of the above directions, a notice is to be sent to each creditor, in the list. Informing about the amount of proposed reduction of share capital. The notice mentions the amount or estimated amount of the claim or the debt or the contingent debt or both under the creditor’s name. It also states a time period within which the creditor may send his representations and objections. (b) Direct within 7 days, to publish a notice in Form RSC-4. In the English language, in a leading English newspaper. In vernacular language, with a leading vernacular language newspaper. These both must by having wide circulation in the State where the registered office of the company is situated. Or a newspaper that may be directed by the NCLT. Simultaneously, uploading on the website of the company (if any). (c) The publication is meant for the creditors to seek their representations and objections. And mentioning the date of hearing those. The notice shall state the amount of the proposed reduction of share capital, information about the places where the list of creditors may be inspected, and the time as fixed by the NCLT by which the creditors may send their objections. This time is, generally, 3 months, from the date of the publication. The creditors are to file their objections with the NCLT, with a copy to the company too. (d) An affidavit in Form RSC-5 is to be filed by the company, to confirm the publication, within 7 days, from the date this notice is issued. (e) If NCLT is satisfied that every creditor has been discharged or secured or given his consent. Then, it may dispense with the requirement of giving notice to the creditors or publication. These authorities or the creditors may make representation or objection under sub-section (2) of section 66. And it shall be sent to the NCLT within 3 months from the date of receipt of the notice. A copy of this representation is to be sent to the company, simultaneously. If not such representation is received by the Tribunal, within this time, then it shall be presumed that there is No to the reduction. Any representation or objection received by the company, and its response thereof, has to be filed with NCLT. The company has to complete the process at least 7 days before the 3 months period in the above point are over. The Tribunal may hold an inquiry into the adjudication of the objection or claim or for hearing them. 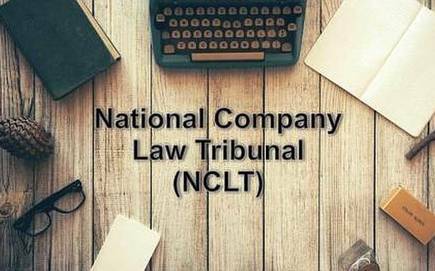 NCLT, during the hearing, may give directions to securing the debts or claims of creditors, in dissent with the proposed reduction. When NCLT has confirmed for the reduction. The order may include directions, or terms and conditions, as the Tribunal may deem fit. This order shall be in Form RSC-6. It confirms the reducing Change in Authorized Capital of Company, approval of the minute. And mentions the terms and conditions. The company delivers the certified copy of the order and the approved minute, to the ROC, and file E-form INC-28.within 30 days of the receipt of order. The ROC issues a Certificate, in Form RSC-7, under Section 66 (5). There’s been an increasing tendency amongst the companies that are seeking to reduce their share capital. It helps them reduce their accumulated losses. As well as create/increase distributable reserves. The original capital may become less due to heavy capital expenses, having more resources than it can employ profitably, or are of reduced or doubtful value. However, the process is complex and timelines are very important to follow. It’ll ease the process for you to take the assistance of Company Registration Online, a company with high expertise in business-related services. Do call at +91 8750008585, or mail contact@companyregistrationonline.in.